William Taylor was born in Norwich on the 7th November 1765 - the son of a wealthy manufacturer. He was educated at Palgrave in Suffolk and as a young man toured Europe learning foreign languages - most importantly German. Taylor was an important translator of German literature, tackling works by both Goethe (who he met twice) and Burger. His translations were influential with the romantic poets such as Wordsworth and Coleridge. Robert Southey was also one of his close friends. 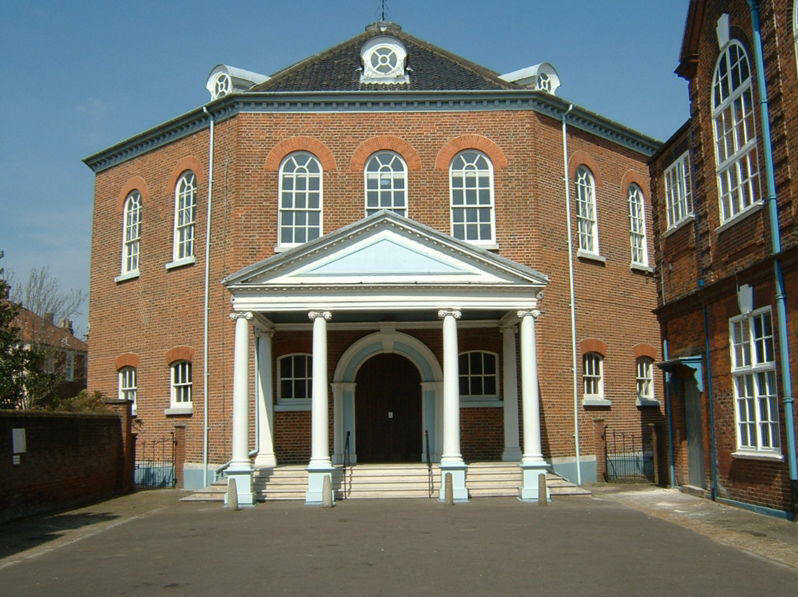 Taylor was part of the non-conformist, radical group in Norwich - which worshipped at the Octagon Chapel in Colegate. The chapel was designed by Thomas Ivory and became known locally as 'the devil's cucumber frame'. For some time Taylor taught German at the King Edward VI Grammar School in the Cathedral Close - and George Borrow was one of his pupils. In chapter 23 of Lavengro - Borrow records his debt to Taylor who was clearly an early influence for him. Taylor was also responsible for inviting John Polidori to Norwich when a vacancy for a physician arose following the retirement of a member of the Martineau family. Taylor was well acquainted with many of the Norwich School Painters and gave lectures to the Norwich Philosophical Society on art. In 1814, he advocated that architecture and townscapes should be considered higher subjects than scenes of rural life. This comment was almost certainly a aimed at John Crome. Taylor is buried in the cemetery attached to the Octagon Chapel on Colegate. Many of the gravestones in the cemetery are broken so the exact location is unknown.